Anytime you find yourself at the Fox Theater in Boulder, you’re bound to have a good time. Parking isn’t much of an issue and there are nice little food and drink spots all around the area (including an Insomnia Cookies down the street which is open until 3am). The theater is clean, organized and brings in talent of all genres on a weekly basis. 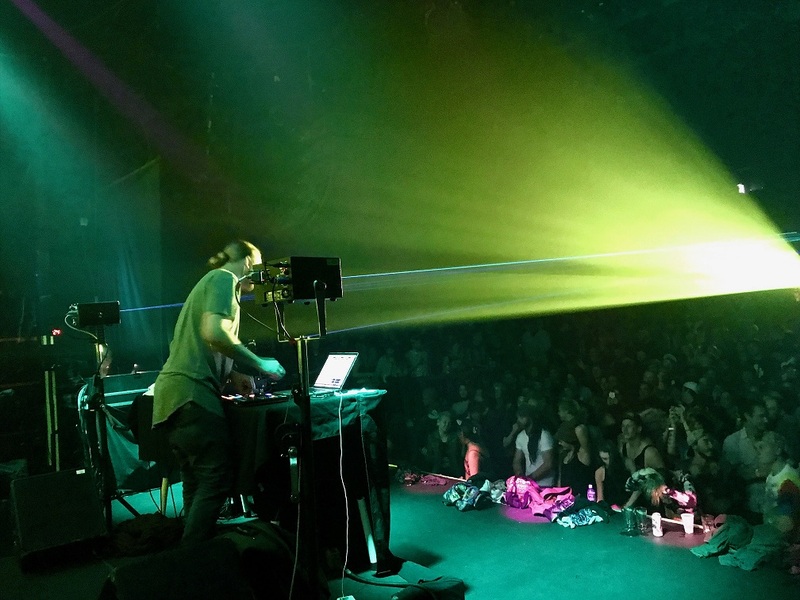 The light show is always fun, with 4 lasers shooting out over the crowd. The Fox’s tiered dancing area also allows people from almost any part of the venue to have a good view of the stage. Stepping in to the Fox on Friday I wasn’t sure what to expect with Jaw Gems, Marvel Years and Thriftworks playing. Their music varies in genre but all have talent and put on a great show. (I saw Jaw Gems on Wednesday. Check out my review here). I was only able to catch the last of Jaw Gems’ songs but everybody in the crowd was getting down around me, giving the impression that the band had gotten the party started smoothly. Marvel Years came on shortly after and serenaded us with his guitar solos over vibey Pretty Lights-esque bass sounds. Weaving in and out of groovy dubstep jams, warm bass and guitar solos it was fun to dance to. Everybody was having a good time and wiggling around for his set. Towards the end Cory (Marvel Years) dropped his collab “Said You Wanna” with Late Night Radio, who also dropped it a few weeks prior at the same venue. The song features a distinctive squeak sound that has a nice off beat rhythm to it and is fun to dance to. Marvel years was a great warm up to Thriftworks who really got the crowd moving. Rounding up the show was Thriftworks who blew all of us away. He has a really active style of mixing, constantly spinning knobs, adding filters and changing music. Thriftworks brought a microphone that distorted his voice which was a real treat. He left a slow bass bumping and performed interesting spoken word with a really steady flow, almost similar to riddim. He also seemed to have control of the pitch of his voice which sounded like an alien transmission at times. Thriftworks had great energy and seemed to be having a good time on stage which really added to the show. The small and intimate setting of the Fox makes it easy to feel the energy and excitement that the artists put out during performances. Thriftworks really got the crowd moving for his set, with the dance floor getting hot and sweaty soon after he took the stage. 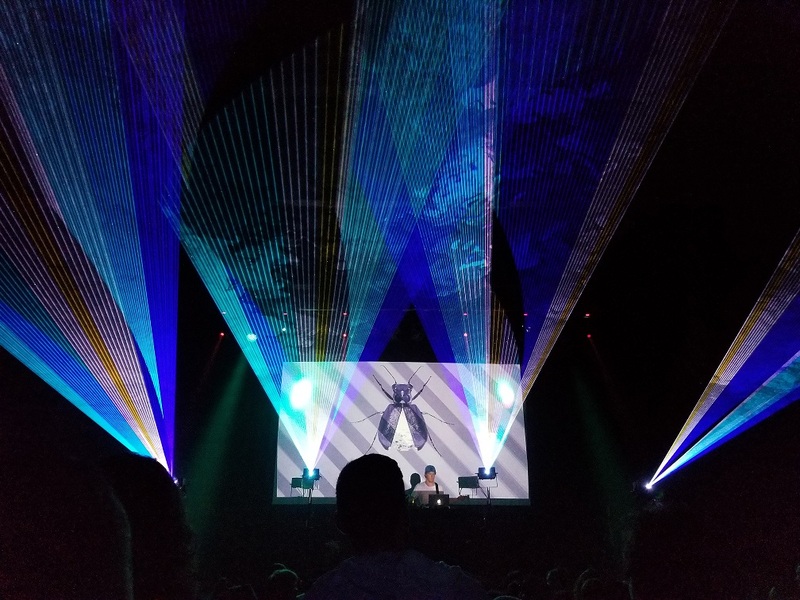 Thriftworks showed his love for Boulder, the Fox theater and the people who opened for him at the end of his set before sending everyone home. Be sure to check out the Fox theater, Jaw Gems and Thriftworks whenever you get the chance, you’ll be sure to have a good time!